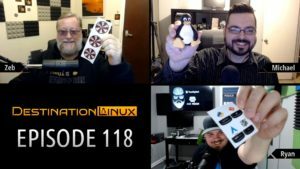 Today we have Martin Wimpress of Ubuntu Mate. We want to ask everyone to help us out by leaving a rating on your favorite podcast app and also if you like the show, consider subscribing to us on any of the available platforms including YouTube, Twitch and the Audio RSS podcast. This helps us to ensure we can continue drawing great interviews and providing quality content every week.